Two Sided Magnet has strong magnetic attraction on both sides. 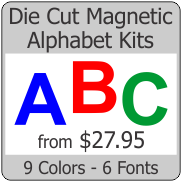 One side of the magnet is red and the other side is green - This is often called GO - NO GO magnet. 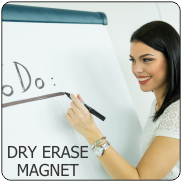 Two sided magnet gives you the ability of flipping the magnet over for dual purpose use.